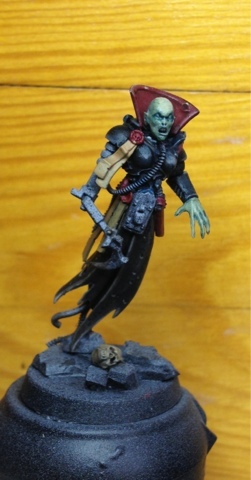 THE CONVERTORUM: Wraithguards and Vampires! 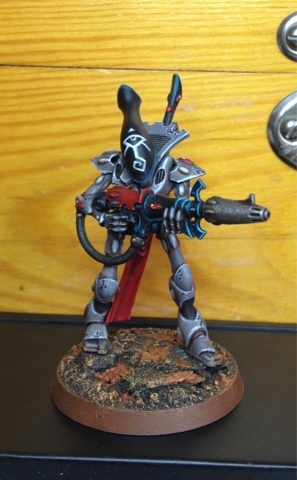 Finished the wraithguard test model this morning! 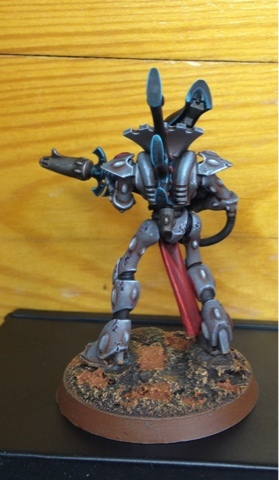 Paintscheme is sort of Ulthwé in reverse, but with a earthy light grey instead of bone. 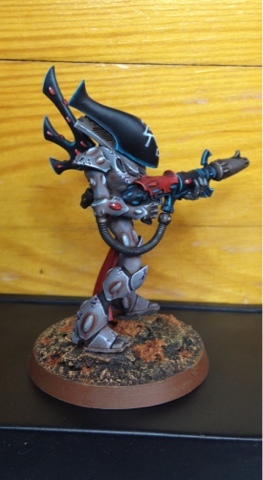 Eldar can get a bit too slick so I added a lot och of wear and tear. Only thing left is some sort of decoration on the loincloth. Cyber Vamp is looking great so far. Very eerie. And getting eerier! Almost done actually! 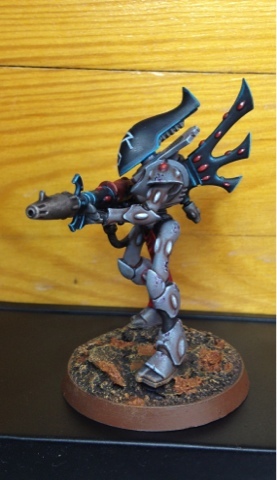 Wow, that Wraithguard sure was assembled and painted quickly! Quite an impressive feat! I love the eye on the wraithguard's face; it gives the construct a very sinister appearance. The dark crimson on the gun and loin cloth accents the rest of the model nicely. Yeah - it didnt take too long. Total painting time approx...I don't know. Five hours? Something like that. Most of that time I was fiddling around with washes trying to get the result I was looking for. Now when I got that down the rest of the bunch should be quicker.